I’ve been meaning to sort out my blog post categories for a while, and the whole process turned out to be more difficult and time consuming than I had imagined. It was really tough to narrow down the number of categories, and then updating every single post (there are over 300) seemed to take forever. Not to mention how tedious it was. In the end, I have managed to narrow it down to 11 main categories with 11 sub-categories altogether. Ideally I would have liked less but hey, I blog about a lot of different things, what did I really expect! There are also a number of discontinued categories (*) for topics that I no longer write about but felt didn’t fit into any other category. You can also find a full updated list of categories that link to their appropriate places here. I also removed tags from my posts because they were rather useless and I had way too many. Turns out I use to be really tag-happy in the early days of this blog! 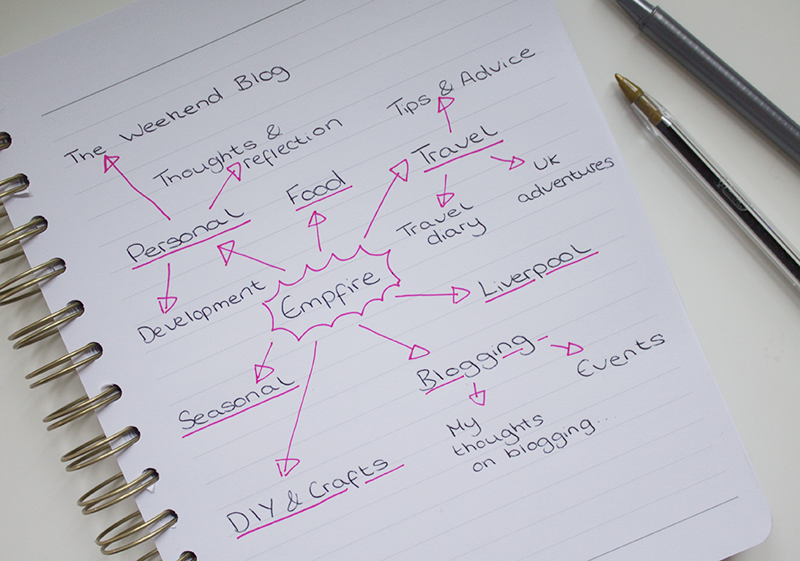 Have you ever reorganised your blog categories? Hard work, isn’t it?! I need to clean my categories (again). I think I made one for every friend I ever mentioned, which I think should actually be done by tags. I feel like the regular segments I do should be tagged rather than categorised, but I am not sure of that. I used to use tags quite uselessly, but as of late I have been using it to tag things like ‘life history’ (posts important to my life but didn’t visibly need to fit in a category) and ‘TBFL’ for the Best Friend Lunch (didn’t feel like it was necessary to have a full category for that, when it would fit under Life). There are some older categories of mine that are also ‘discontinued’ but I am not sure what to do with them. I would weave them into another category but in some cases it made more sense to leave them and just no longer post in them. Honestly, I don’t feel the need to clean my categories. I use the same ones over and over, so cleaning them out would be useless, unless I no longer talk about a certain category. I seem to keep talking about life, general, and academia more than anything else. So, I might be actually cleaning up my categories pretty soon. I have never really found a reason to use tags, other than that they clutter up space. To me, some tags can be useful, but I’d rather just stick to categories. So, I don’t think I need to worry about removing any tags any time soon as I don’t have any, never have really. My blog is really unorganized right now and I just want to get it proper asap. But my work load makes it so difficult to focus on the blog! Your new categories sound great. I try to sort out my categories too once in a while as I change the things I blog about. It’s a complicated task, but it’s necessary too.